"Oh Jess, Didnt i tell you to stay in there? Just let me talk to your dad. I don;t want you to start any fight with your dad. I know I can solve this. Trust me." Greyson said while hugging me. "no. I just... I just cant let you quit the music industry. I can&apos;t.  I knew you thru your music. Without your music, I wouldnt be an Enchancer and I wouldnt be here with you right now. The WORLD needs your music. I need it. The Enchancers need it. I can&apos;t be so selfish and do this to them. I understand them. 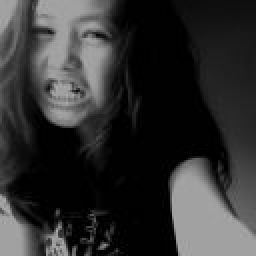 I am an Enchancer myself. You can&apos;t quit. I&apos;ll wait. I&apos;ll wait till I can marry you. " I said while a few drops of tears comes streaming down my face. He hugs me even tighter. This time, I felt a wet spot on my shirt. He cried too. For me. "Guys, I don&apos;t know if its the right time to say this but...you guys are gross" my brother said. He laughed and walked away rght after mom shot him the say-one-more-thing-and-you&apos;re-dead look. "Mr Chance, Im really sorry. Jess&apos;s dad is always like that. He&apos;s very protective when it comes to his daughter&apos;s boyfriend. What more, you&apos;re now asking for his permission to have his daughter&apos;s hand. But  i&apos;m totally on your side! I trust you. Sit down. I&apos;ll go to the kitchen and get you some fruits." Mom said. Then she disappear into the kitchen to prepare some fruits. "Ahem, Mr Chance. I think you should leave now." Dad said. "DAD! HOW COULD YOUUU? HOW COULD YOU DO THIS TO US? YOU&apos;RE ALWAYS TRYING TO BREAK ALL MY RELATIONSHIPS. WHY ARE YOU DOING THIS? I KNOW YOU&apos;RE TRYING TO PROTECT ME BUT I&apos;M OLD ENOUGH ALREADY. PLUS, NOW THAT I&apos;VE FOUND THE LOVE OF MY LIFE, YOU&apos;RE BREAKING US UP? IM SERIOUS DAD. 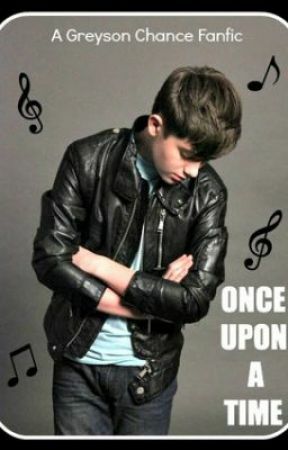 GREYSON WILL THE THE ONLY ONE FOR ME. I&apos;LL NEVER LOVE ANYONE ELSE OTHER THAN HIM." I burst out crying. I just can&apos;t understand why is dad so against out relationship. Greyson is so perfect. What else does he expect from Greyson? "Jess. I&apos;ll explain later. Mr Chance, you should really leave now. " dad said while pushing Greyson out of the door. I held Greyson&apos;s hand so tight that Dad had to forcefully pull us apart. Greyson let go of my hand when Dad slammed the door shut. Dad pulled me into the kitchen while mom was still busy cutting some oranges. Didnt know what happened, mom looked at dad. "Jess, please don&apos;t cry. I&apos;ll explain. Listen Jess." dad said in a serious tone. "How can i not cry? You do realized that you just pushed the love of my life out of the door right? He&apos;s my inspiration, my love, my world, my life, my all." I shouted. "Jess, this is why i needed to explain. Just stop crying for a minute and listen, would you?" Dad said. Mom hugged me and nodded. Giving me a sign that i should let dad explain. I stopped crying and breathe in deeply. "Jess, Its not that I wont let you marry him. Its just that..." Before dad could finish his sentence, I continued.
" Its just that you&apos;re too young, he&apos;s not good enough, his career, Im trying to protect you bla bla.. what else dad?" I said. "Jess, Im not done yet. LISTEN." Dad said. "Its not that I won&apos;t let you marry him. Its just that I thought he was fooling with you. Don&apos;t blame me for thinking that way, you watch E! News, you seem em. Even the sweetest Hollywood couples splits up. I just don&apos;t wanna see you getting hurt. That&apos;s why I put him thru a test. I know its not a good way to test him butits the only way. Well, when he said he would quit the music industry for you, I already considered he passes the test. He&apos;s a good guy. Then when he says he&apos;ll go find a nornal job, get you a house and build a family together like normal people, Im sure he&apos;ll definitely take good care of you. He deserves you and He PASSED the test! Don&apos;t cry Jess. Now you can go outside and check if he&apos;s still there. If he&apos;s still there, tell him that he passed the test and he has my permission to marry you." dad continued. After all these while, dad was just testing Greyson? I felt such a relief! Greyson PASSED the test. I couldn&apos;t be more happier. My heart felt like there&apos;s thousands of fireworks blooming, like its gonna explode anytime. "THANK YOU DADDY. THANK YOU. I&apos;m so sorry that I misunderstood you. Thank you daddy! You&apos;re the best! I love you." I said in excitement while hugging him. He&apos;s my best daddy ever. I couldn&apos;t stop thanking him for what he&apos;d done for me. "Alright, alright babygirl. Go get your future husband, my future son-in-law now. If he&apos;s not outside, I might reconsider letting you marry him." Dad laughed while he pulled away. "DAD! I dont think he&apos;s out there anymore. Its been 2 hours already. He won&apos;t be waiting since you chased him outta the house." I said. "Trust me. If he loves you, he&apos;ll be out there! I know this. Its a man thing." dad hugged me again. I quicky rushed to the front door. When i opened the door, he was there. Dad was right! Greyson was just sitting at doorsteps. He looked up as I opened the door. His eyes were watery. He cried again. He quicky wiped his tears as he stood up to hug me. "Jess.... I-i don&apos;t know. I can&apos;t leave this place. I won&apos;t give up." he said. I was so touched. I held his hands and gave him a quick kiss. "You passed the test! You PASSED the test! YOU PASSED THE TEST! Now you have my dad&apos;s permission, nobody else can ever seperate us ever again!" I said in excitement. Greyson was shocked when he heard the news, when he realized he hugged me so tightly i could suffocate. "Wait, Jess. You mean you dad said YES? I can marry you now? With your family&apos;s permission? omg. I love you Jess. I promise I&apos;ll never leave you!" Greyso said. "YES!" I said. I couldn&apos;t be more happier. I have my dad&apos;s permission to marry the man i love. I cannot wait till the day when I can officially call him, my husband.